This delicious and beautiful twist on a caprese salad may just have you envisioning yourself at an Italian trattoria on a cute cobblestone street. Instead of the traditional mozzarella, this recipes uses the wonderful avocado. As you’ll read below, avocado is an incredibly healing food that also mimics the creaminess of cheese. Dairy products put a strain on the digestive system and liver, and negatively impact health in many other ways, so they are best avoided. This caprese salad is perfect for serving as a finger food, entrée, or light main meal for guests or just for yourself. As I share in my bestselling book, Thyroid Healing, “avocados contain phytochemicals that protect the lining of the digestive tract from EBV’s cofactor, strep bacteria. They help balance T4 and T3 thyroid hormone production. Avocados’ form of natural glucose calms sensitive nerves throughout the body that have been irritated by viral neurotoxins. Tomatoes contain their own variety of vitamin C that’s bioavailable to the lymphatic system and liver, supports the immune system to keep it strong against EBV, and prohibits the virus from traveling through the body with ease. This vitamin C is also a support to the thyroid’s own immune system in the neck area. When growing, tomatoes absorb and collect the moonlight’s frequency at night, just as the thyroid collects the sun’s rays during the day (which you can read more about in Thyroid Healing). This means that when consumed, tomatoes strengthen the thyroid’s radio-like frequencies, helping to create balance and homeostasis with all of the body’s organs and glands. Cut the tomatoes into thick discs and set aside. Cut the avocado across the middle (not lengthways) and remove the pit. Peel off the skin and cut into discs, about the same thickness as the tomato. Arrange the tomato slices on a plate or platter and top with avocado. Place a basil leaf on each, then drizzle with lemon juice and the optional olive oil. Season with sea salt and pepper. Serve immediately. Eating plums on a regular basis can help bring benefits such as improved vision, healthier skin, healthy brain functioning, regulated digestive tract, reduced inflammation, resistance against colds and infections, and improved metabolism. Plums are especially good for digestive disorders such as IBS, gastritis, and constipation. The magnesium in plums works as a natural tranquilizer which can sooth your nerves and also work as a catalyst to reinstate your natural REM sleep. Spinach creates an alkaline environment in the body and provides highly absorbable micronutrients to the nervous system. It also binds onto and removes the jelly-like viral waste matter in the liver that can contribute to mystery weight gain and mystery heart flutters. It’s epecially good at rejuvenating skin and helping to turn around conditions such as eczema and psoriasis. Nuts (especially walnuts, Brazil nuts, almonds, and cashews) hold important trace minerals such as zinc, selenium, and manganese. Almonds in particular strengthen nerves and bones. Place the plums, baby spinach and basil in a bowl. Add the lemon juice, zest, orange juice and zest, sea salt and pepper and toss to combine. Transfer salad to serving bowls and top with almond flakes. Serve immediately. For more undiscovered information on the healing benefits of hundreds of foods, check out my books Life-Changing Foods, Thyroid Healing, & Liver Rescue. Popsicles are such a fun way to sneak in healing ingredients. In this recipe, the incredible herb lemon balm is the star, with the raw honey, lemon juice, and ginger also in lead roles in their own right. Lemon balm is a heal-all that can helpful countless symptoms and conditions. Anti parasitic, antiviral, and antibacterial throughout the body, lemon balm fights the Epstein-Barr virus, shingles, and other herpetic viruses such as HHV-6. It’s an amazing herb for tonsillitis, which is inflammation caused by strep bacteria. Plus, lemon balm detoxifies the liver, spleen, and kidneys, and helps reduce bladder inflammation, which makes it a star for alleviating interstitial cystitis and urinary tract infections (UTIs). Ginger is the ultimate antispasmodic, which makes it ideal for illnesses that are affected by stress, such as adrenal fatigue, acid reflux, sleep apnea, spastic bladder, insomnia, digestive issues such as spastic colon and gastritis, and chronic muscle pain can get kicked up. And as an antiviral, antibacterial, and anti-parasitic, ginger deserves all the accolades it gets for promoting a healthy immune system. Ginger is also ideal for stress assistance, DNA reconstruction, enhancement of your body’s production of B12, and so much more. Place the lemon balm, ginger and water in a small saucepan and bring to a simmer. Turn the heat off and set it aside until completely cool. Drain, then stir in the lemon juice and raw honey. Pour into popsicle molds and set in the freezer overnight. Arugula and nectarine are a match made in heaven in this fresh, juicy salad. With just the right amount of spice from the arugula and some crunch from the pistachio nuts and romaine, it’s a salad you may find yourself making over and over again. As I share in my bestselling book, Thyroid Healing, “arugula reduces nodules, tumors, and cysts in the thyroid (both cancerous and benign) and helps prevent Epstein-Barr Virus related thyroid cancer in the first place. Arugula’s phytochemical compounds enter into the thyroid, rejuvenating tissue there while reducing thyroid scar tissue. These compounds also push out old storage bins of thyroid medication from the liver. The beta carotene in nectarines is beneficial for reproductive issues, eye sight, oral health, respiratory ailments, bone development, and the immune system. Nectarines high fiber content make them great for digestive and constipation issues and their high water content helps to hydrate the body on a deep cellular level. Place the arugula, romaine, nectarine and thyme in a mixing bowl. Add the lemon juice, sea salt and pepper and toss lightly. Arrange on a platter or place and top with chopped pistachios. Serve immediately. For more undiscovered information on the healing properties of fruits, vegetables, herbs, spices and wild foods, check out my #1 NY Times bestselling book, Life Changing Foods. Celery is truly the savior when it comes to chronic illness. I’ve seen thousands of people who suffer from chronic and mystery illness restore their health by drinking 16 ounces of celery juice daily on an empty stomach. That’s why long ago I started the movement of drinking pure, straight celery juice, and it’s why I want to be sure people know how to use this potent drink correctly and successfully. Celery juice is most powerful when you drink it SOLO. While it’s great to consume other green juices or vegetables juices and add in items like spinach, kale, parsley, cilantro, or apples, drink those mixed juices at a different time than your straight celery juice. These blends function differently than what I’m recommending as your greatest tool for recovering your health: pure celery juice taken on an empty stomach. If you drink your celery juice first thing in the morning, it will also strengthen your digestion of foods you eat for the rest of the day. How do I make celery juice? What is the ideal amount of celery juice to receive the healing benefits? 16 ounces of straight celery juice a day is ideal for receiving its healing benefits. Increasing your intake up to 24 to 32 ounces a day can be extremely beneficial for anyone suffering with chronic illness or symptoms. How much celery is needed to make 16 oz of juice? One large bunch typically makes 16 oz (2 cups) of juice. When is the best time to drink celery juice? The best time to drink celery juice is in the morning on an empty stomach before you consume anything else other than water or lemon water (wait at least 15 to 30 minutes after the lemon before having your celery juice. Celery juice is a medicinal, not a caloric drink, so you’ll still need breakfast afterward to power you through the morning. Simply wait at least 15 to 30 minutes after drinking your celery juice before consuming anything else. If you’re unable to consume your celery juice first thing in the morning before food, then the second-best option is to drink it 15 to 30 minutes before eating something or 30 to 60 minutes after eating a light snack or 2 hours after eating a heavier meal anytime during the day. If you’re having 32 ounces a day, you may wish to have it in two 16 ounce servings. You can drink the first serving in the morning on an empty stomach before eating and the second in the late afternoon or early evening, at least 15 to 30 minutes before eating your next meal. Which juicer do you recommend? Does the celery have to be organic? Organic is best, but if you can’t get organic don’t worry. You can purchase conventionally grown celery. Then wash each stalk with a drop of natural fragrance-free dish soap, followed by rinsing in water. If you don’t have natural clear dish soap, give the celery a quick rinse in warm water. Making sure to rinse each stalk. Can I make celery juice ahead of time? It’s best to drink celery juice immediately after juicing. But if you don’t have options other wise, do not let it go past one day (24 Hours). If using this option, make sure to seal it in a mason jar, and store in the fridge. Do I need to cut off the leaves of the celery, they taste bitter? You can leave them on, or cut them off. Some people do prefer to cut them off, because they can make the juice a little bitter. Can I freeze celery juice, and make batches ahead of time? If you cannot drink your celery juice after making it, and making ahead and freezing is your only option, then freezing it is okay. But this is a last resort, and should not be relied on. Fresh is always best. Celery juice’s powerful medicinal qualities will decrease when freezing it. Can I chop and wash celery the night before so it’s ready to juice in the morning? Yes, this is great way to prepare and save some time for the next morning. What if I can’t stand the taste of straight celery juice? If you find the taste of straight celery juice too strong, you can juice one cucumber and/or one apple with the celery. This is a great option as you get adjusted to the flavor. As you get used to it, keep increasing the ratio of celery; the greatest benefits come when celery juice is consumed on it’s own. Is it okay to add lemon or lime to my celery juice? Celery juice works best on it’s own. Adding any other ingredients to the juice will dilute it’s medicinal properties. Wait 15- 30 minutes after drinking, before consuming anything else. Can I just eat celery instead of juicing it? The reason we juice the celery versus eating it is because juicing and removing the pulp (fiber) is the only way to get the powerful healing benefits for healing chronic illness. There is a trend that is now happening that recommends leaving the pulp in the drink and just have blended celery versus celery juice, which removes the fiber. Try not to get misled by this trend. Leaving the pulp in will keep you from receiving the unique healing benefits of celery juice. Quickly rebuild your hydrochloric acid so that your stomach can break down protein. If protein isn’t broken down properly it will cause gut rot. Strong hydrochloric acid is important to kill off pathogens entering your mouth. Celery Juice increases and strengthens your bile. Strong bile is important for the break down fats, and for the killing off pathogens; that have made their way into your body. Eating straight celery wouldn’t allow you to get enough of celery’s cluster salts; that acts as antiseptics for pathogens. Celery juice restores your central nervous system. Removes old toxins and poisons, such as: old pharmaceuticals from your liver. Is celery juice okay to consume while pregnant? Yes, celery juice is safe and healthy to consume while pregnant. If you have any concerns, you can consult your doctor. Can I add ice to my celery juice? It’s best not to add ice, ice will dilute the healing properties of the celery juice. Is it normal to experience a change in bowel movements after drinking celery juice? Some people may experience a change in their bowel movements when starting to consume celery juice. This is a normal detox reaction that some individuals who have a higher level of toxins may experience. Celery juice will kill off unproductive bacteria in the gut and will also help purge the liver. This can result in loose stools as the body pushes out the toxins from a very toxic liver. Almost everyone today has some degree of liver toxicity, which, as I share in my book Liver Rescue, can lead to countless symptoms and conditions. The loose stools will pass as your body heals and you may notice your bowel movements become more regular and healthier than ever. If you find celery juice too cleansing, try 16 oz of straight cucumber juice. Cucumber juice does not have the same benefits celery juice does but it is very gentle and a great choice until you can restart celery juice. Will I experience an increase in symptoms after drinking celery juice? Celery juice is very healing, and the undiscovered sodium cluster salts will begin to kill off pathogens like viruses such as Epstein-Barr and Shingles, as well as bacteria such as Streptococcus inside the body right away. For some people, if they’ve already experienced some symptoms on and off in their life such as fatigue or other symptoms, it’s possible that in some cases these people may temporarily experience symptoms again. These symptoms will be short and brief as the body heals and cleans up. This is a powerful healing step that celery juice can offer for long term future health—WITHOUT symptoms. However, many times when someone reports feeling an increase in symptoms and thinks it’s because of the celery juice, it will actually be because of something else happening in their body, life or diet but the celery juice unfairly takes the blame. 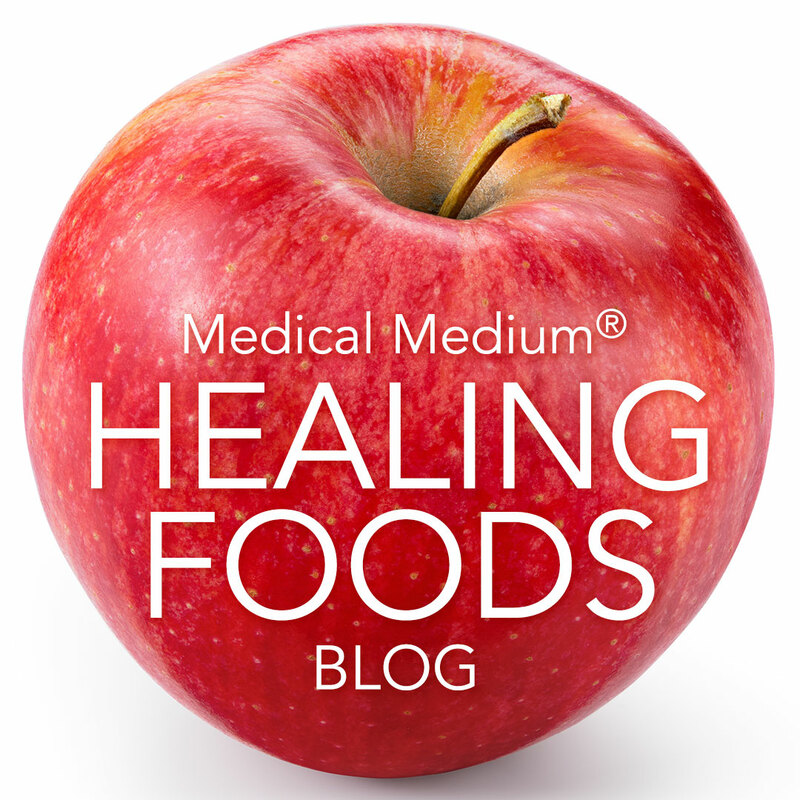 It’s important to understand what else could be happening inside the body and how dietary choices and other lifestyle factors could be leading to the increase in symptoms and conditions someone could be experiencing and how to properly support the body to heal. This is what is covered in great depth in my books Liver Rescue, Thyroid Healing, Life-Changing Foods and Medical Medium. It’s never been more critical to empower yourself to become an expert on the true causes of your symptoms and conditions. Is it normal to get bloated after drinking celery juice? No, it is not normal to get bloated after celery juice. However, it's possible that some people who already experience bloating may get some temporary bloating. Celery juice rapidly speeds up digestion. It does this by prompting the liver to increase bile production, and instantly strengthening the stomach’s hydrochloric acid production. Which then begins to break down old undigested rotting protein, old rancid fats trapped at the bottom of the stomach, and in the small intestinal tract that have been there for decades in everyone. Once these fats and proteins dissolve, bloating tends to go away for almost everyone who is dealing with chronic bloating issues. But for some, a feeling of bloating can occur that can be mild to severe, depending on how toxic someone’s digestive tract has become and how much old rotten undigested debris is in their digestive tract. As these individuals continue to use celery juice the right way long term, the condition and toxicity of their digestive tract will improve and bloating can disappear— as long as their other eating choices are within the guidelines shared in the Medical Medium information. I experience stomach pain or upset after drinking celery juice, what is causing this? This is when someone’s stomach nerves are sensitive. The vagus nerve is the main nerve that sends signals, and helps the stomach to function. Often low grade viral infections such as Shingles and the Epstein Barr, create a lot of neurotoxins that mildly inflame the vagus nerve. So when you drink celery juice, it begins to clean the neurotoxins off the tiny nerve endings inside the stomach lining. This can cause a gentle reaction. Also many peoples stomachs are filled with bacteria such as E. Coli, Streptococcus and H. Pylori. These bacteria die off rapidly which can prompt a spasm, that can be temporarily painful. Does celery juice contain oxalates? There is a myth that certain leafy green vegetables and herbs like celery are high in oxalates and are therefore harmful. This is completely incorrect and is preventing many people from getting some powerful and needed nutrients and healing properties provided by foods deemed to be high in oxalates. Oxalates are not the concern they are believed to be. There are oxalates in every single fruit and vegetable on the planet. The vast array of nutrients in so-called high oxalate leafy greens and celery are some of the most nutritious available to us. Medical research and science has not discovered that there are anti-oxalates in fruits, vegetables, and leafy greens that prevent the oxalates from causing us the damage the current trend tells us they do. In reality, these foods don’t cause us any harm, rather they provide us with critical healing nutrients like phytochemicals, vitamins, and minerals. Is there anything that can be added to celery juice to make it more beneficial? Celery juice is a healing tool for the chronically ill. It has healed and continues to heal millions of people worldwide. Sadly, some individuals are now trying to take advantage of the popularity of celery juice by changing the recipe and adding new ingredients so they can call it their own and profit from it. They recommend adding ingredients like collagen, apple cider vinegar, and activated charcoal to celery juice, but these three items all destroy and denature celery juice when added to it, taking away all of its one of a kind healing properties and bringing ingredients into your body that don’t support healing. For the protection of your own health, it’s important you are aware of how misleading and unhelpful these trends are that compromise the purity and power of celery juice. These trends have been started by individuals who don’t even believe in celery juice and the healing properties it possesses. They never knew of its existence as a healing tool until the global celery juice movement I started began to organically reach millions of people because it is so effective at helping to heal all kinds of health symptoms and conditions. These financial investor created trendsetters don’t even know what it is about celery juice that makes it so effective, such as its undiscovered sodium cluster salts that destroy the cell membranes of pathogens so they can be killed off and how the cluster salts rebuild hydrochloric acid. Without knowing how celery juice works and why, they can’t know how to consume it to receive its benefits and how vital it is to not add ingredients such as collagen, apple cider vinegar and, and activated charcoal. Knowing the right way to drink celery juice is critical for you to get its benefits. There are some ingredients that can activate or enhance the healing properties of celery juice even more. Some of those ingredients are magnesium, l-glutamine and choline for example. Can breastfeeding women drink celery juice? Celery juice is incredible for breastfeeding. It can provide an abundance of trace minerals, vitamin C and neurotransmitter chemicals such as the undiscovered sodium cluster salts for the baby to develop healthy, strong organs. Celery juice also helps clean and detoxify the breast milk, purifying it so the baby receives the purest breast milk possible. Can babies and children drink celery juice? Yes, celery juice is incredible for the health and development of babies and children. Can I take celery juice powder or celery powder instead of drinking fresh celery juice? No, celery juice powder and celery powder can’t replace fresh celery juice. Celery juice powder and celery powder don’t offer any of the benefits that 16 ounces of fresh straight celery juice can. Selling celery juice powders and putting celery inside supplements is going to become a popular trend as celery juice becomes even more well known and people try to profit off the global celery juice movement that is healing the chronically ill. Try to avoid all of these fads. They are a waste of money and they don’t offer the same healing benefits as drinking straight, fresh celery juice every day. Are there nitrates in celery juice? Celery and celery juice can’t contain any nitrates that are activated or harmful unless the celery has oxidized or been dehydrated. The naturally occurring nitrates in celery don’t exist when the celery or fresh celery juice hasn’t yet oxidized. When fresh celery juice or celery does oxidize, just like when any herb, vegetable or fruit oxidizes, then a naturally occurring nitrate can develop. But this naturally occurring nitrate is also never harmful in any way, shape or form. Celery juice powder and celery powder have oxidized so they can contain naturally occurring nitrates because that developed through the oxidation process. These nitrates are not the same variety of nitrates which are considered to be irritating to some people. It’s important to know that not all nitrates are the same, just like all people are not the same, all water is not the same, all sugar is not the same, and all protein is not the same. For example, gluten is an entirely different protein than the protein inside meat or the protein inside nuts. Also, the naturally occurring nitrates that can develop in an oxidized form of celery such as celery powder and celery juice powder are not the same as the harmful nitrates that are added to meat and all kinds of other products. Also, nitrates are different to nitrites; they’re not the same thing. Even celery powder, which does contain naturally occurring nitrates, can’t be relied upon as a method for curing foods such as pickles or meat because it still doesn't contain nitrites. Fresh celery juice also doesn’t contain nitrites. Anything naturally occurring in celery and celery juice is not harmful. This is the same for pure celery powder and pure celery juice powder. However, harmful nitrates can be added to celery powder or celery juice powder by the company that makes it or uses it in another product. Your fresh celery juice can not have harmful nitrates in it unless you were to add them in yourself. If you don’t drink fresh celery juice because you believe it contains harmful nitrates, then you are unfortunately going to lose the unique healing opportunity fresh celery juice, which does not contain nitrates, can provide. How long does it take to feel the benefits of drinking celery juice? It depends on what condition the person is in. Almost everyone feels benefits of some kind in their first week of drinking celery juice in the right amount and in the right way daily. Many people even feel benefits after their first juice. It all depends on the person and their circumstances, such as their health conditions and symptoms and how toxic and overburdened their liver is with different pathogens and poisons such as pesticides, solvents, herbicides, toxic heavy metals, and all kinds of other chemicals and toxins. (See Liver Rescue for more information on what having a toxic liver means, how common it really is and how to heal your body). If someone is dealing with weight issues, if they have a lot of putrefied and rancid fats in their colon, and/or a lot of bacteria in their intestinal tract such as streptococcus, this will also affect the healing timeline. The amount of stress someone is experiencing in their life, what else they choose to eat and drink in addition to their straight celery juice, and their other lifestyle habits will also play a role in how long it takes for someone to feel the benefits. But most people do feel a difference rather quickly. Some people who have been drinking celery juice for a long time get used to how good or how much better it makes them feel than when they weren't drinking it. Then they stop drinking celery juice temporarily, like many do, and find they don’t feel as good anymore. They realize at this point just how instrumental the celery juice was in helping them feel better. It’s important to know that even if someone doesn’t see or feel the benefits of drinking celery juice quickly, it doesn’t mean the benefits aren’t happening. Everybody who drinks celery juice receives benefits immediately, because the healing powers of celery juice begin working immediately upon entering the body. For some people, it can take a bit of time to see or feel the benefits in a tangible way they can notice, even though the celery juice has been providing healing benefits from the first drink internally. Is there too much sodium in celery juice? All salt is not the same, just like all sugar is not the same. Consuming high fructose corn syrup, which is detrimental to health, is not the same as eating an apple, which can bring healing to the liver and provide a wealth of critical nutrients. So don’t get confused by the idea that all salt is the same, because it’s not. If you hear someone say that there’s too much salt in celery juice, they’re not correct. The sodium cluster groups in celery juice are a subgroup of sodium. Science and research have not even discovered all the variations of trace minerals and subgroups of sodium that reside in celery juice. Sodium cluster salts are healing for the body and we can’t get have enough of them. Sixteen ounces of celery juice on a daily basis provides these sodium cluster salts we so greatly need. Celtic sea salt or Himalayan rock salt are entirely different forms of sodium. No matter how high quality the salt, putting Celtic sea salt or Himalayan rock salt in a drink or on your food is not the same as consuming enough of these undiscovered sodium cluster salts from celery juice. Sodium custer salts are the only form of sodium that destroys pathogens, helps detox the body and helps restore electrolytes and neurotransmitter chemicals. The sodium in celery juice is a medicinal sodium that’s meant for your bloodstream and your body whereas you need to cautious of consuming too much of the type of sodium that comes in even the highest quality salts. Can I juice celery root instead of celery? No, celery root is a different plant to the large bunches of celery stalks with leaves. Juicing celery root will not provide the same healing benefits. This wonderful dip is rich in flavor, creamy, hearty and satiating. It tastes fantastic scooped onto vegetable crudités like celery, cucumber, radishes, asparagus, cauliflower, tomato slices, bell pepper, broccoli, cabbage leaves and lettuce leaves. It’s also incredibly delicious served alongside steamed potatoes, baked potato fries, or even on top of a green salad. But what’s even more impressive than it’s flavor and versatility is the healing properties of its two primary ingredients: peas and avocado. Green peas are rich in antioxidants, vitamins A, C, K, and B-complex and minerals such as zinc, iron, calcium, and manganese. They are a great source of protein, fiber, and omega-3 fats in the form of alpha-linolenic acid (ALA). They are also a fantastic weight loss food since they have the ability to ward off hunger and keep you feeling satiated for long periods of time. Green peas contain a compound called coumestrol which has been shown to help lower the risk of stomach cancer and they also contain anti-inflammatory properties making them a particularly good food for those who suffer with autoimmune disorders such as arthritis, COPD, heart disease, lupus, fibromyalgia, and bursitis. Avocado has creamy flesh that is the ultimate gut soother for those with food sensitivities, Crohn’s disease, colitis, or IBS. Avocados possess anti-inflammatory compounds that have an aspirin-like quality without thinning the blood; this reduces narrowing and swelling of the digestive tract. This fruit also has polyp-reducing properties, helping you to prevent or rid yourself of these small growths of the intestinal lining. Avocados are amazing for the brain, too. A healthy source of omega-6 fatty acids, they can help restore the central nervous system and alleviate Alzheimer’s and dementia. Eating avocados also has an anti-aging effect on the skin, reducing dryness, giving you a healthy glow, and contributing to the disappearance of dark undereye circles. Place the peas, avocado, lemon juice, garlic, cilantro, salt and pepper in a food processor or blender and blend until smooth. Taste and adjust seasoning. The combination of sweet watermelon with savory herbs, garlic, and tomatoes makes this raw Watermelon Gazpacho burst with flavor. Refreshing and deeply hydrating, this gazpacho is a perfect light lunch, especially on hot days or when you’re feeling stressed out. It can even be a great breakfast because it’s best enjoyed on an empty stomach. Watermelon is also known to significantly reduce inflammation, help flush out edema, aid in weight loss, and alleviate depression. Watermelon can also boost the immune system as well as strengthen vision. Watermelon is not nearly as high in sugar as most people think as it has half the sugar than an apple. Watermelon is also loaded with antioxidants that have the ability to neutralize free radical molecules and aid in the prevention of chronic illnesses. Tomatoes contain their own variety of vitamin C that’s bioavailable to the lymphatic system and liver, supports the immune system to keep it strong against viruses, and prohibits viruses from traveling through the body with ease. Cucumbers have a fountain-of-youth effect, hydrating us at the deepest cellular level possible. Plus, cucumbers’ cooling effect makes them excellent at rejuvenation and especially effective at cooling a hot, stagnant liver. When eaten on a daily basis, cucumbers can reverse liver damage, dialing back 10 to 15 years of toxin exposure (including from heavy metals and pesticides such as DDT) and poor diet. It makes this vegetable (really, a fruit) a particular ally in reducing bloat. Place watermelon, tomatoes, cucumber, celery, garlic, chili pepper, basil, mint, lime juice, salt and pepper in a blender and blend until smooth. Pour into a bowl and top with chopped watermelon, tomatoes, cucumber, herbs, sea salt and pepper. Serve immediately. Cucumber noodles are an easy and delicious way to reap the many healing benefits of this special fruit. Topped with a chunky sauce of fresh, juicy tomatoes, flavorful garlic, and fragrant basil, this recipe provides a wonderfully healing and tasty meal or snack for anytime of day. You may find this simple recipe becomes a daily or weekly staple for you and your family! Cucumbers strengthen the adrenals and kidneys and flush viral neurotoxins out of the bloodstream. They hydrate the lymphatic system allowing for better cleansing. Cucumber hydration can slow down and even stop a fresh mononucleosis infection and the high fiber content of cucumbers makes them an excellent remedy for constipation by adding bulk and hydration directly to the colon. Tomatoes contain their own variety of vitamin C that’s bioavailable to the lymphatic system and liver, supports the immune system to keep it strong against EBV, and prohibits viruses from traveling through the body with ease. When growing, tomatoes absorb and collect the moonlight’s frequency at night. This means that when consumed, tomatoes strengthen the thyroid’s radio-like frequencies, helping to create balance and homeostasis with all of the body’s organs and glands. Tomatoes help to stop at least 20 different kinds of cancer. They also prevent fibroids, cysts, tumors, lipomas, and nodules from growing and are antiviral and antibacterial. Garlic is antiviral, antibacterial, antifungal (including anti-mold), anti-parasitic, and rich in the phytochemical allicin, a sulfur compound that prevents disease. Contrary to some mistaken theories, garlic does not kill productive bacteria in the intestinal tract. It only kills unproductive bacteria. Make the cucumber into noodles using a spiralizer or vegetable peeler. Divide between two bowls and set aside. Place the tomatoes, garlic, fresh basil, red pepper flakes, salt and pepper in a food processor and process briefly until you get a chunky tomato sauce.Ladle it on top of the cucumber noodles and top with fresh basil and a squeeze of lemon juice (optional). Changing up the way you eat your fruits and veggies can make all the difference when you are choosing to eat a healthier diet. This pretty and fun Watermelon Tart gives you a new and unique way to get more healing fruits into your diet. Make this with your kids or let them have fun making it for you! Watermelon is an excellent fruit that effectively hydrates, detoxifies, and cleanses the entire body on a cellular level. It is rich in vitamins A and C as well as lycopene, beta-carotene, lutein, and zeaxanthin which are excellent for providing protection from lung, mouth, pancreatic, breast, prostate, endometrial, and colon cancer. Watermelon is loaded with antioxidants that have the ability to neutralize free radical molecules and aid in the prevention of chronic illnesses. Strawberries are loaded with vitamin C which helps boost the immune system and ward off colds, flu’s, and respiratory infections. Strawberries are also well known for being beneficial for age related macular degeneration and vision related issues. They contain ellagic acid and flavonoids which are good for cardiovascular health and can help prevent heart disease, stroke, and and help to lower cholesterol. Mangoes are also beneficial for a whole slew of other aspects of health. Wonderful for stress assistance and viral protection, mangoes are also rich in beta-carotene to strengthen and support the skin; they even help prevent all varieties of skin cancers. Mangoes are a powerful tool to help reverse hypoglycemia, prediabetes, and type 2 diabetes.